*Become a NEW member of AiP and get membership ($300 value) AND your conference registration for just $745.00! You will be contacted by the AiP office to complete your member registration. **You must be signed in to view AiP member pricing. Hit the REGISTER button at the top of the page to complete conference registration. Doors open Wednesday, May 22, 2019 at 10:30 am. Lunch begins at 11:30 am and the first keynote session begins at noon. The final session ends with lunch at 12:00 pm on Friday, May 24, 2019. Along with a brief AiP Update and Annual Meeting, guests will enjoy a Jeffersonian Dinner style conversation throughout the evening. The purpose of a Jeffersonian Dinner is to build a sense of community and partnership around our shared interest – in our case, philanthropy. A table host will guide the conversation to share values, inspire new ideas, and make connections with fellow conference attendees. 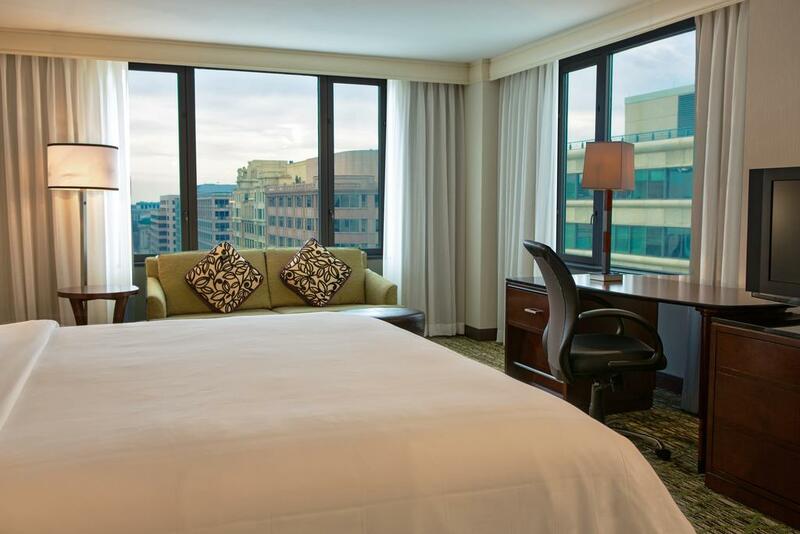 AiP is happy to offer a discounted group rate of $249.00/night (plus taxes and fees) at the Washington Marriott at Metro Center. The discounted rate is available until Wednesday May 1, 2019. Washington, DC has three major area airports - Reagan National Airport (DCA); Dulles International Airport (IAD); and Baltimore/Washington International Thurgood Marshall Airport (BWI). Parking: Conference attendees call valet park for a rate of $51/day. The conference will offer up to 12 hours of CFP® CE credit and credit for American College Professional Recertification (formerly PACE), CAP®, CFP®, CIMA®, CIMC®, and CPWA® designations. CPA designees and other designations holders who can self-report should check with their governing body in their state to determine the eligibility of continuing education credit for these programs. You will receive a Proof of Attendance Form upon arrival at the conference and you will be responsible for keeping track of your attendance at all sessions. At the conclusion of the conference, you will receive a portion of the form that will serve as your proof of attendance and certificate of completion. Conference attire is business casual. Some attendees opt for cocktail attire for the dinner on Wednesday evening. Temperatures in the Washington, DC area average in the low to mid 70's and 80's in late early May. With Thanks to All of Our Conference Sponsors! With 200+ expected attendees, conference sponsorship provides your firm exposure and access to a very targeted demographic. The agenda includes extended breaks in the exhibitor area allowing ample opportunity to solidify your current business relationships and make new ones. Be sure to take full advantage and gain maximum exposure by confirming your sponsorship today! View the sponsorship packet here. Secure your sponsorship and complete payment here. If you have any questions, please contact the AiP office at admin@advisorsinphilanthorpy.org or 216-621-3215.